Any one try Mega Path as test speed test sight? I have, usually the Speed Test Plus Beta version. 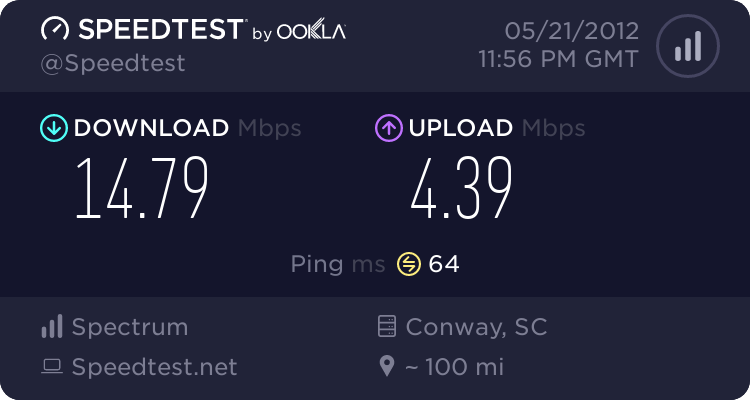 Anyway, pings are at least twice as much as speed test and my DL speed is 5meg less than when compared to speedtest.net and my connection server website. I don't think it is all that accurate for me. 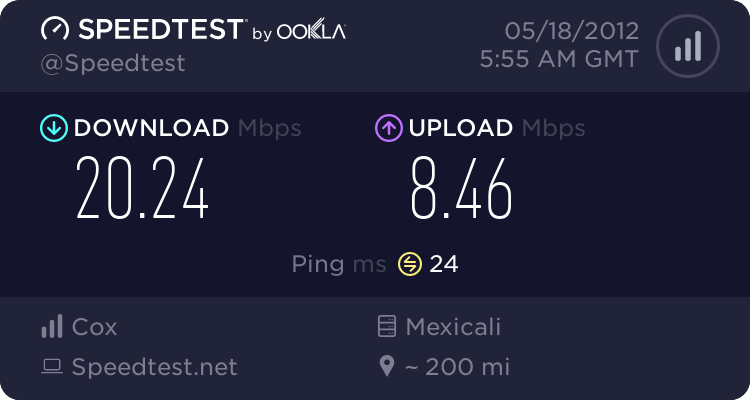 Most accurate speedtest website IMHO is my connection server for DL and sharper probe app for upload. 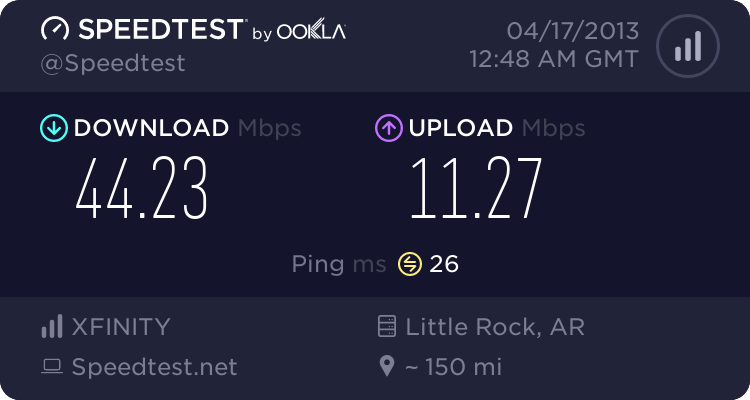 The speed tests at DSL reports also seems to be pretty accurate too. Now that DSLreports is back online now. Yea, that must have sucked for Justin. Glad it's back up. ya I'm on my 10th year. Added a short list of common speed testing sites to the Library. You can find the link to it on the first post in this thread. Enjoy. Well I heard my ISP was bonding to 3 upstream channels in my area so I decided to reset my modem and sure enough it booted up with 3 upstream channels. I was already bonding to 8 down. If I never had speed or quality issues with my upload, will bonding to 3 channels instead of 1 channel really do anything? Just creates a biger pipe for traffic flow. not getting my 30 download and 5 upload could be the QOS settings priority 200 for this computer. DiffProbe release. January 2012. Build 1008. The measurement will take upto 2.5 minutes. Please wait. Upstream: Measurement aborted due to high packet loss rate.